Click here to learn more and take urgent action to stop them from handing even more of our personal data over to the government. We tend to be pretty skeptical, so it’s hard for tech companies to shock us. But this latest development is significant because these companies aren’t even trying to hide the fact that they’re lobbying for MORE government spying, and asking for government handouts and protection if they play nice. So why are these companies pushing for it? Because the government is offering legal immunity to companies that share private user information with dozens of government agencies. We need to act now because if we don’t respond swiftly and loudly, more companies will jump on the bandwagon and sell out their users privacy in exchange for government protection. If more major companies endorse CISA, it will be almost impossible to stop it in Congress. 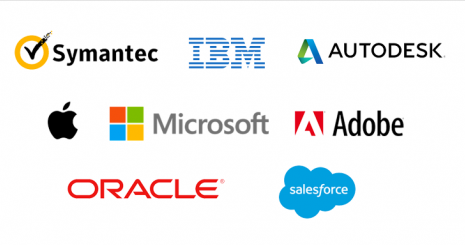 Click here to take action right now to hold these companies accountable for endorsing CISA. We have an opportunity right now, but it won’t last long. If we can create a massive public backlash and make these companies regret endorsing CISA, we can make sure that no other companies are willing to betray their users so publicly, and send a message to Congress that this is still a supremely unpopular bill, no matter what Microsoft and Apple’s lobbyists say. Time is of the essence. Click here to take action TODAY to stop CISA, before it’s too late. Thanks for all you do. More on this soon. P.S. We’re a small group of activists who consistently take on and win huge campaigns — chip in $5 to help us make sure we have the resources we need to beat these companies.